Home / Dental Care / Is Invisalign treatment right for you? Let’s find out! Do you feel conscious about your crooked teeth while you socialize with those around you? 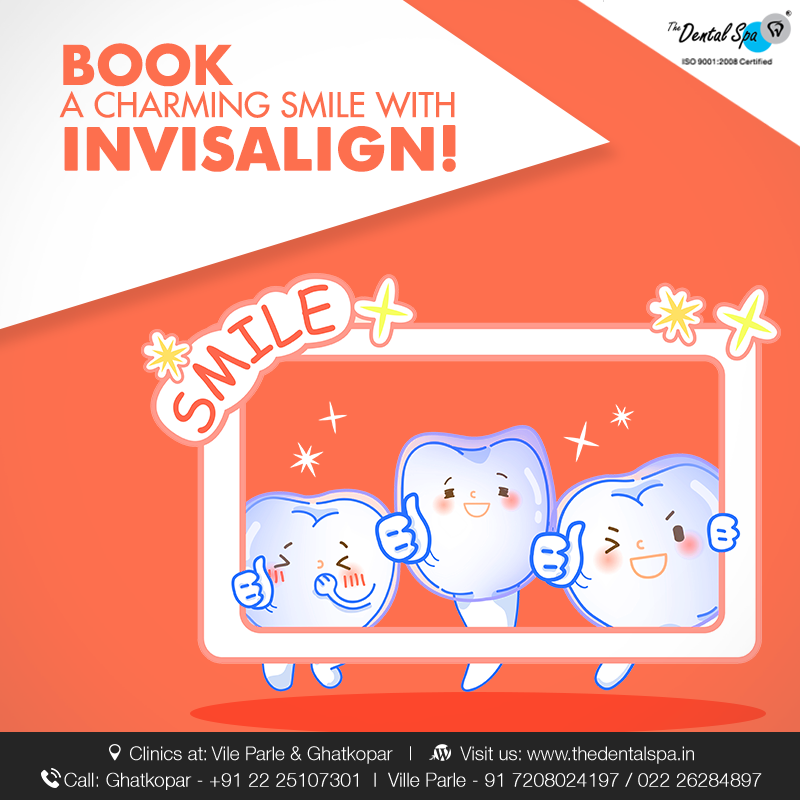 If yes, here we bring to you some of the treatable cases that will help you to choose the right Invisalign aligners. 1) Crowded Teeth: Crowded teeth means when your teeth are bunched up, overlapping or pushed to the front or the back. This happens when you don’t have enough room in your jaw to let your teeth fit in perfectly. Patients with Crowded teeth find it difficult to brush or floss hence, increasing the danger of tooth decay, plaque buildup and gum diseases. 2) Overbite: It’s a situation when a person’s upper and lower jaws aren’t the same size or are malformed, resulting in your upfront teeth overlapping with your lower front teeth. Dentists suggest that about 5 to 25 per cent of overbite is normal. Whereas a larger overbite can lead to extreme pain in one’s jaws while eating food items like Apple, meat, burgers, etc. On the other hand, a large overbite might make one conscious while talking and smiling while socializing with others. 3) Underbite: An underbite is when your lower front teeth are in front of your upper teeth. In many cases, this happens due to one’s lower jaw being too forward. Patients with underbite problem find it hard to speak clearly or chew properly. Severe underbites might require Invisalign treatment combined with surgery. 4) Crossbite: A crossbite is when your upper teeth are sitting inside your lower teeth. Crossbite leads to tooth decay and gum diseases which can also lead to bone loss. 5) Gap Teeth: A mismatch between the size of the jaw bones and the size of the teeth can cause a gap in teeth. It normally results in extra space between two teeth or overcrowding of teeth. People with gap teeth might experience pain while taking a bite of food items such as Apple. 6) Open bite: Open bite refers to a malocclusion, where the teeth aren’t aligned properly when the jaws are closed. This might make a person conscious while smiling or communicating with others. 7) Generally Straighter Teeth: If you feel your teeth aren’t aligned properly you can opt to get your teeth straight. Crooked teeth can lower once confidence while socializing with others. Whereas straighter and well-aligned teeth can add beauty to your personality.